Maharashtra will join hands with large and small hotel industries to popularise its local cuisines like ‘puran poli’ and ‘vada paav’ across the country and even worldwide, a senior state government official said today. 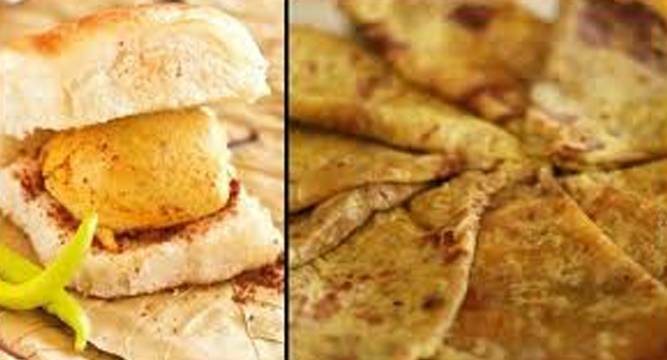 “Snacks like ‘puran poli’ have become favourite with Delhiites, with the little spectacular colourful journey of Maharashtra with a bite of hot ‘vada paav’. “We will tie up with large and small hotel industries and caterers to promote ‘puran poli’ and ‘vada paav’ nation and worldwide,” state Tourism and Culture Secretary Valsa Nair Singh said here. She made the remarks on the concluding day of ‘Maha Jatra’ (mega fair), which was also attended by Chief Minister Devendra Fadnavis. The state government had organised a two-week event to promote culture and heritage of Maharashtra at Delhi Haat. Meanwhile, Fadnavis announced 2017 as ‘Maharashtra Visit Year’, a move aimed at promoting tourism in the state. The Chief Minister also felicitated renowned art director Nitin Desai, Paithani sari maker Jitendra Rajput, handloom artist Rajendra Ankam and owner of Maha food stall Shubhami Chipalunkar during the event.